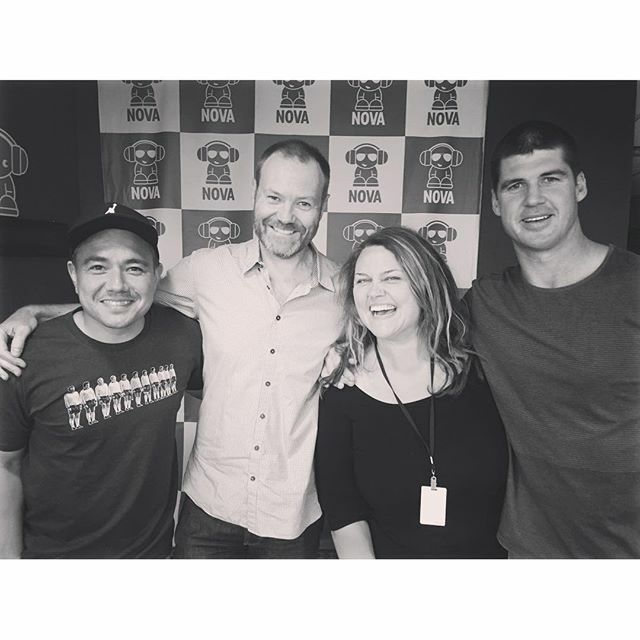 Great chatting with Chrissie, Sam and Browny on Nova FM! I missed it. Thanks for sharing. Lovely interview, very quick witted (though neither had good points really), personable (does that mean you can be a person?) and more importantly just the kind of demeanor producers are looking for. Is there anyway you could share your skills at how to be interesting, funny, likeable and all that for the rest of us half wits. Most of us don’t even attempted to be funny as we know it will come across as ‘try hard’ (see previous sentences for examples) and this one … seriously try hard. Thanks for your kind words, N.O.R. And come on, now; don’t put yourself down! I actually know who you are, and I also happen to know for a fact that you’re NOT a halfwit. I’d put you somewhere around five sevenths, or even six eighths. Thank you very much ladies and gentlemen, and goodnight.